Yekaterinburg-based Ural Airlines has announced a 17% increase in the passenger traffic for July 2016, compared to the results of July of the previous year. More than 801,000 people traveled on the carrier last month. The airline operated 7% more flights. Out of the total number of 5039 flights, 3205 were domestic and 1834 international, with 717 to CIS destinations. Passenger turnover increased 20%, to 1.951 million passenger kilometers. In total, from the beginning of the year Ural Airlines’ traffic grew by 18%, to 3.461 million passengers. The carrier operated a total of 26,174 flights—16,490 domestic, 5,006 to CIS destinations, and 4,678 to international destinations. The passenger turnover for the first seven months of this year grew 15%, to 8,151 million pkm. The passenger traffic of Ural Airlines has grown in a stable manner since the beginning of the year. According to the Federal Air Transport Agency, the airline occupies 5th place among Russian carriers. From January through June, it carried 2.660 million passengers, over 2.259 million in the same period of 2015, a growth of 17.7%. The passenger load factor decreased to 72.1%. 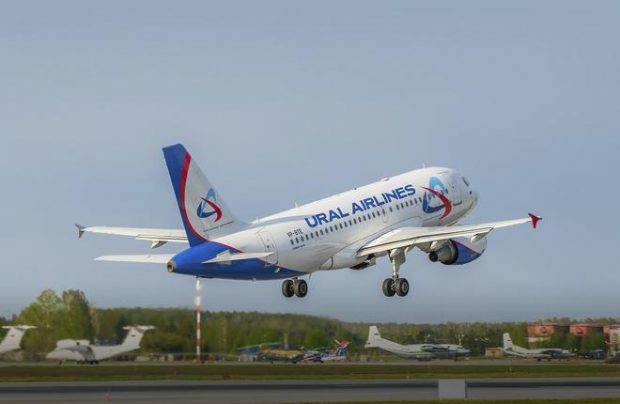 The growth of Ural Airlines is observed amidst the general decline in passenger traffic on the Russian market. From January through June, its volume slipped by 11.3%, to 8.714 million. However, during this period passenger traffic increased for other major Russian operators, in particular, Aeroflot, Pobeda, Rossiya, S7 Airlines and UTair.